The Navy SEAL Foundation supports families who have lost members in service with the Navy SEALs. 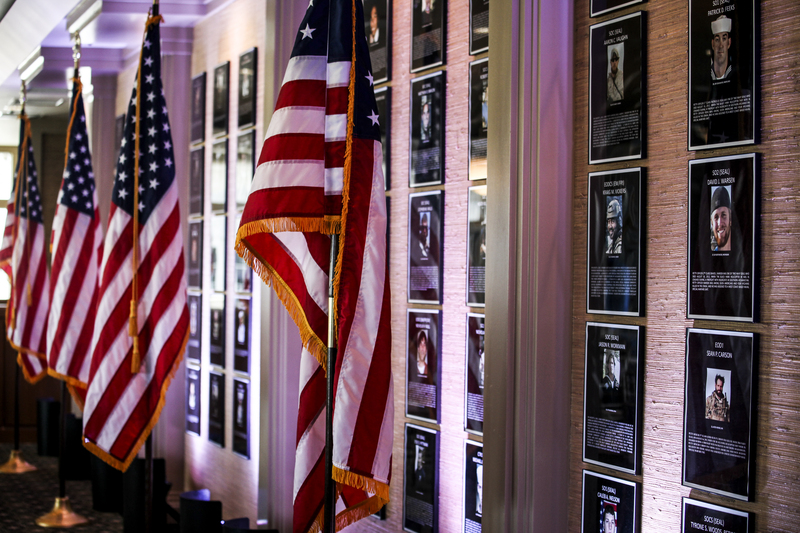 Their Wall of Honor shows the photos of all warriors in this group who have fallen since 9/11. The wall travels in support of the foundation’s mission. Frequent changes in humidity and temperature meant that their traditional framed photos would rumple and fade all too quickly. Memento Press devised a way to print the images on aluminum, then frame the photos, to increase durability and cut weight. We also created a system that would make it easier to arrange and display the wall. 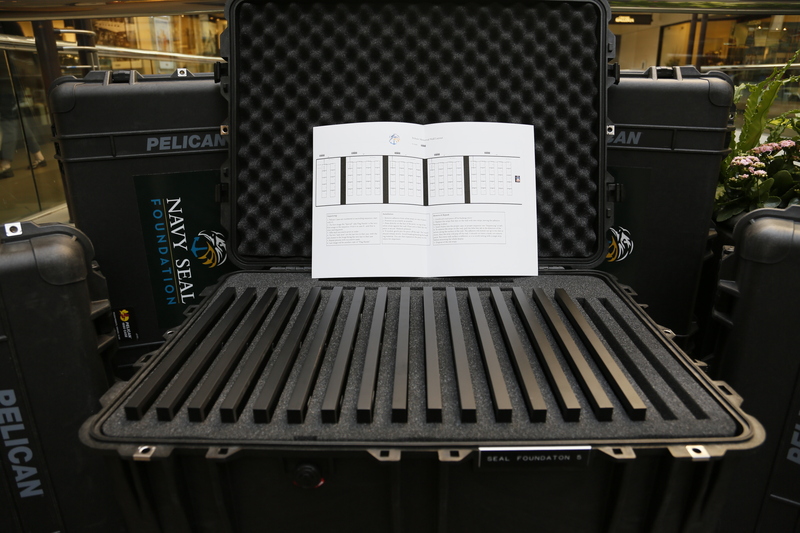 Pelican Cases, makers of the best, most durable cases in the world, donated cases that they custom-designed to fit the frames perfectly. 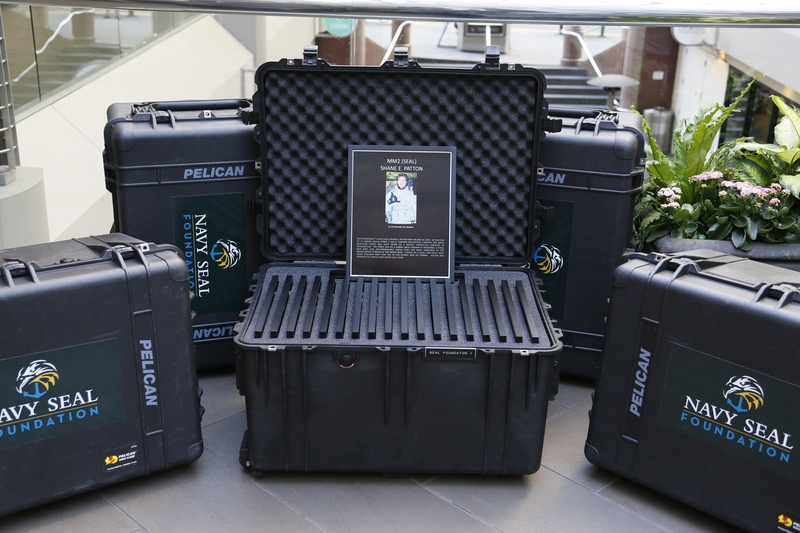 Pelican cases are water tight, shock proof, and offer a host of top-quality features valued by professionals everywhere. Now the Navy SEAL Foundation can transport, display and re-pack the images, confident that they will receive the protection they deserve.